WILLIAMSTOWN, Mass. -- The Cable Mills development on Water Street is ready to start selling the condominium units planned in the former factory complex. More than 350 people have already registered their interest in the 61 high-end condos through the project Web site. 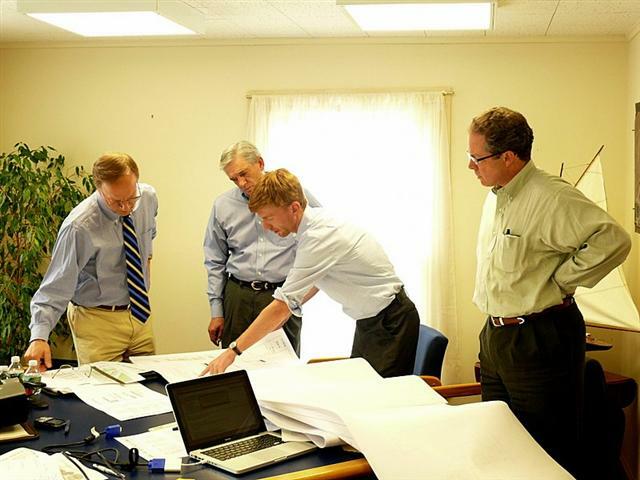 Occupancy of the first phase of units is planned for the fall 2010. "We're pleased that Mitchell Properties has chosen our team," said Paul Harsch, president of the real estate agency, adding that "it is now up to us to move this to the next level and we can hardly wait. This is the most exciting opportunity of my entire career thus far." The Cable Mills project is the renovation and rehabilitation of the former General Cable Industries facility by Mitchell Properties into a community of 61 luxury condominiums and townhouses along Water Street. "Bringing Harsch Associates to the team is a big step towards creating Williamstown's newest luxury living at Cable Mills. We are very pleased to be working with Paul Harsch, Kevin White, and the entire team Harsch and selected them for the unique talents, expertise, and reputation as one of one of the area's leading real estate firms," said Bart J. Mitchell, president of Mitchell Properties. According to Dave Traggorth, project manager for Cable Mills, over the coming weeks Harsch's team will contact and arrange meetings with those who've registed online. Prospective buyers will be able to view the latest unit layouts for the first time, with pricing, and reservation agreements following over the next several weeks. Those interested in viewing the latest information should contact White at Harsch Associates directly at 413-458-5000. After reviewing the wide variety of unit styles and sizes with the team, Paul Harsch, president of Harsch Associates, and White, Harsch's specialist in pre-construction of marketing new communities, were impressed with what they saw. After 34 years in the business, Harsch said Cable Mills' location, inherent beauty, and detail offer buyers a "luxury living option that has never been available in Williamstown or the Northern Berkshires." He's asking prospective buyers to "imagine living across the street from the Taconic Golf Club and Williams College, being steps from all the shopping and dining options in the village centered around Spring Street and Water Streets, and coming home to a beautiful, unique space characterized by high ceilings, exposed beams and brick, and magnificent windows that have unmatched views of the river and mountains." White added that Cable Mills is "an unparalleled opportunity that will appeal to so many people from all walks of life." He believes that the broad range of sizes from one to three bedroom, types, and layouts of units will appeal to buyers with a wide variety of goals and interests. Mitchell Properties is a Boston-based real estate development company owned by Mitchell, who graduated from Williams College in 1980. After completing numerous Boston residential projects, Mitchell Properties has developed an expertise in residential and mixed-use projects, including new construction and adaptive reuse of historic structures. It purchased the Cable Mills for $3 million several years ago. The company has gained a reputation for creating successful residential communities with an emphasis on design, quality construction, green living, landscaping, stylish interior finishes, and exceptional management. Harsch Associates was established in 1979, has been involved in a wide variety of projects within the county including land, commercial and residential sales and development. Harsch, himself a 1969 graduate of Williams College, has 34 years of real estate experience and White, the head of the marketing team for Cable Mills, has specialized in sales of new condominium and town home developments, the most recent of which was an exclusive 6,000-acre golf course community in Colorado.